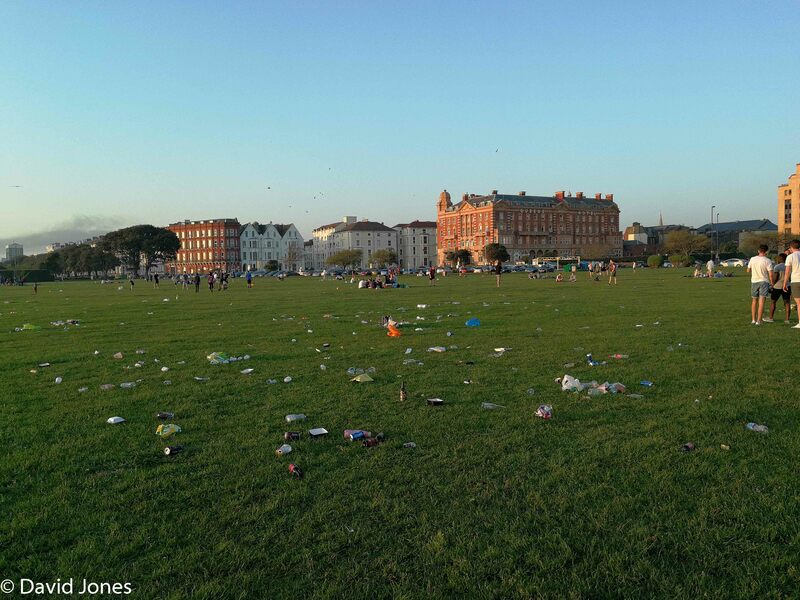 After temperatures reached record levels for May bank holiday in the UK, the coastline areas are now getting on with the task of clearing up the mess. It sounds strange, but clearly people can no longer visit the beach or public common areas without leaving something behind. How this change in behaviour has come about I have no idea. 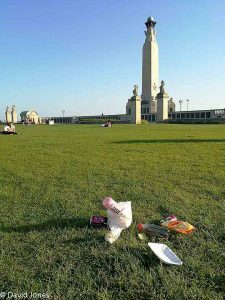 When I was younger it was never an option that you would leave your rubbish. However, it now seems to be the norm, I assume, because people do so in the knowledge that someone will pick it up. 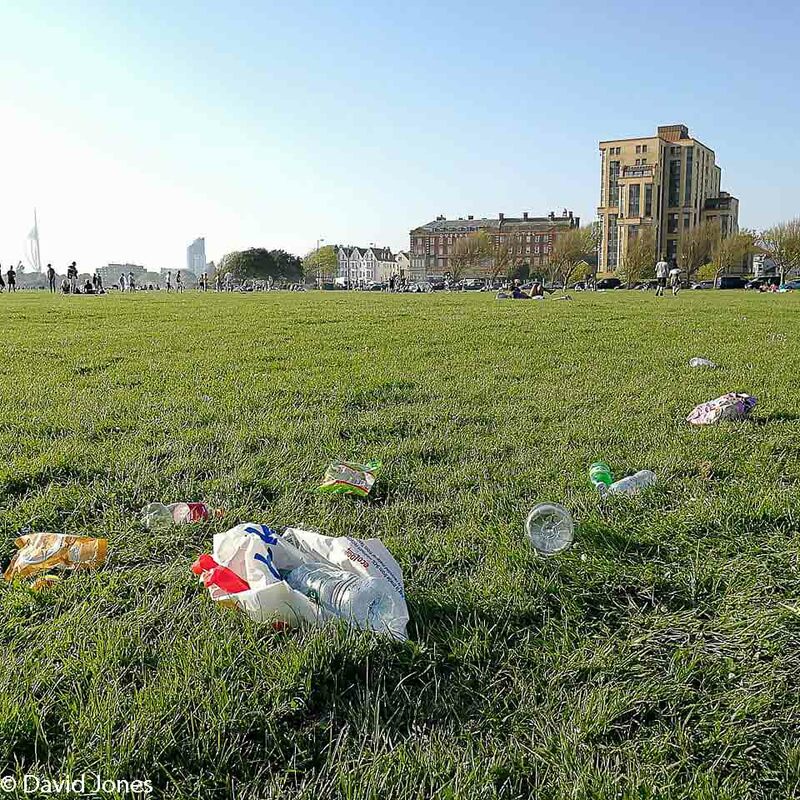 I was so disgusted by the sights that greeted me when I cycled along the beach road and around Southsea Common on the evening of 7 May that I decided to call the local Newspaper and send them some images. 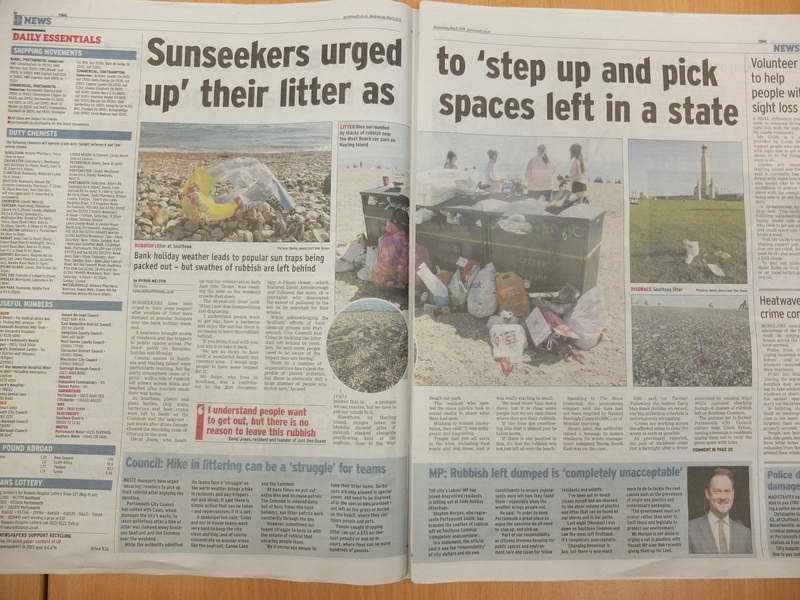 By the end of the afternoon the story was on their website and this morning it had gained enough attention to warrant a two page spread in today’s edition. Now the momentum is gathering we have also secured a meeting with local MP, Stephen Morgan. Hopefully we can put some plans in place to prevent this happening in the future.